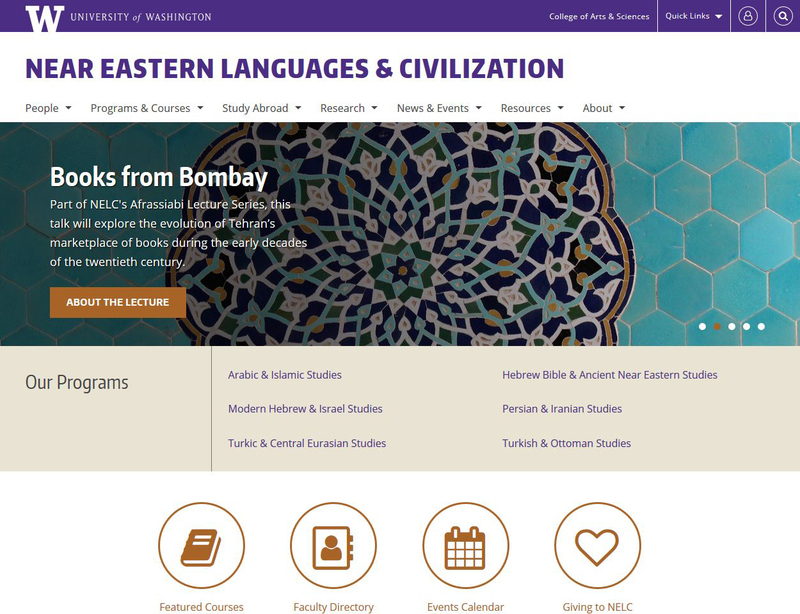 UW Near Eastern Languages & Civilization | Heather Wozniak, Ph.D. The 27th site to launch in our series of Department Web Framework sites at the University of Washington College of Arts and Sciences. This one debuted a new theme based on Zurb Foundation. A visual designer created the look and feel, and I helped refine the usability and design components, then translated it into a Drupal theme. I worked closely with the lead developer to keep the project running smoothly, advise on content strategy, configure the site, and maintain standards of quality.